Coming to terms with the fact that someone in your life requires care is never going to be easy. The initial conversations about including a carer in your loved one’s life can be equally challenging. At Cambrette, we understand how difficult and emotional these first conversations can be. But we also know from experience that people can continue to lead happy and mainly independent lives while receiving a bit of extra help. If you’re thinking about talking to someone about them needing care for the first time, these points will help you to approach the situation the right way. It is best to introduce the idea over a series of smaller conversations. Your loved one may feel they do not need care. Make sure to listen and show you understand their concerns. They need to feel that they will still be the gatekeeper in their own home and will still have control. They may also already have ideas of how and where they would like care in the future so it’s important to explore all of the options. Carers can assist with tasks that have become difficult or increasingly risky, which in turn reduces the risk of accidents. Typical issues can include things like taking food out of the oven, changing the duvet, or bending down to do washing – tasks where people may fall or slip. Often little chores that were easy even a year ago are now challenging. Having someone coming in to assist will make a huge difference to this issue. Care at home can help reduce accidents. Your loved one may associate care with sacrificing their independence. This is often what makes it such a sensitive subject to discuss. But it shouldn’t be this way! Great care should always be centred around the individual and designed to maximise their independence. Explain how the right kind of care will give them even more freedom. For example, taking small mundane tasks like grocery shopping and cleaning off their hands will free up time for hobbies and other more fulfilling activities. Only focusing on the reasons why your loved one needs care from a personal health perspective may come across as patronising and could put them on the defensive. Balance this by framing the conversation around how having a carer could also help you and the rest of the family. They might not have thought about how their growing needs impact those around them. 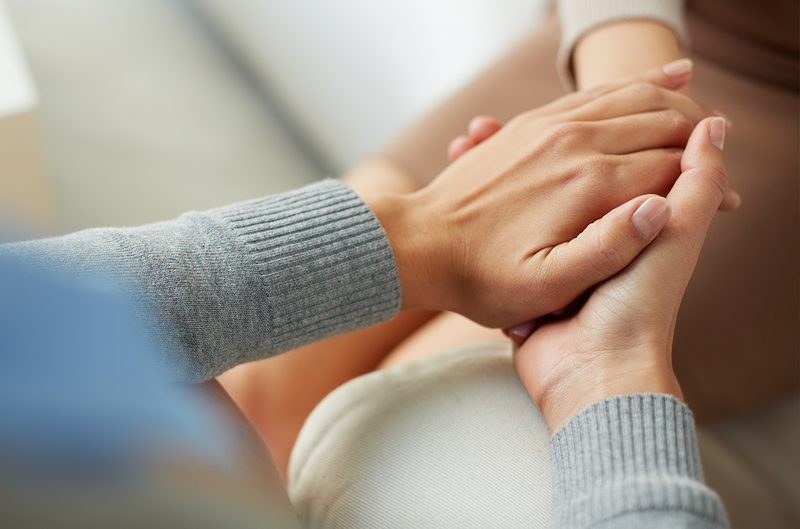 If you often find yourself worrying about your loved one’s wellbeing, let them know how having a professional carer to assist them will make you feel better. If you are currently acting as the primary caregiver, explain how a carer will help to free up your time, allowing your visits to become more meaningful, rather than functional. which is why many people decide to wait for the right opportunity. However, if there is a crisis, you may need to rush to arrange a suitable care package at the last minute. Starting early and being able to take your time to prepare the right care package will be much more reassuring for both of you and gives your loved one more control. If you know that your loved one needs care, it may be time to ask a trusted friend, doctor or care professional for help. It may be the case that a relative is too close to the situation but someone outside the family is likely to give advice that will be more easily accepted. Arrange a meeting somewhere comfortable and familiar, and try to keep it as casual as possible. At Cambrette, our Care Managers like to meet potential clients for a quick chat and a cup of tea in their own home. Nothing too formal! They may be daunting, but these first conversations could be a vital step in helping your loved one to continue living comfortably, safely and more independently for years to come. Careful planning and the right approach will ensure you will be able to move onto the next chapter of care planning.